Quote from the movie Jumper: "They couldn't make heads or tails of it." A big difference between digital crypto currency and real coins is that real coins can be flipped. Call it.. heads or tails. A method to make a choice. The head side of the valid currency in the Netherlands is the reigning monarch. Last year April, our queen was replaced by a king. This also called for a new version of the dutch Euro where the portrait of Willem-Alexander needed to be placed. The displayed QR Code is based on the artwork that was used to make the new coinage. Interested in the new set of euro coins? More information can be found here. 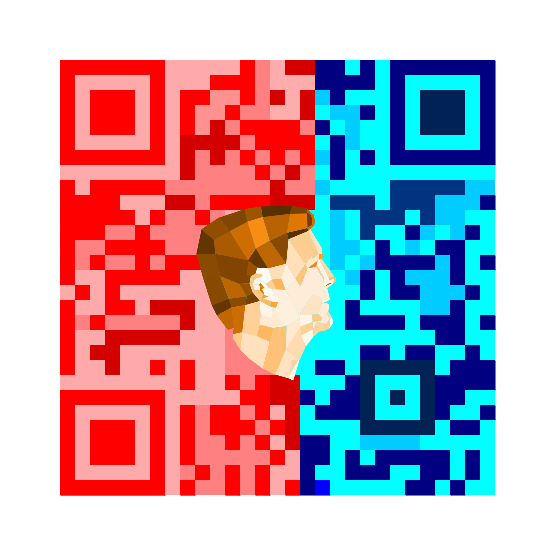 Interested in the QR Codes? Find more on my website, or order your own in my webshop. Dangers of social media promotions.